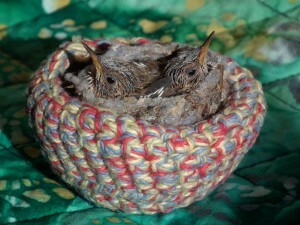 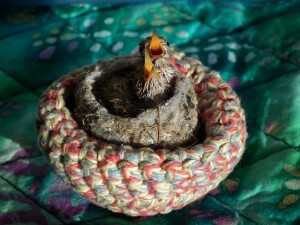 The twins on Thursday morning with their nest fitted into hand crocheted nest made by a kind person. 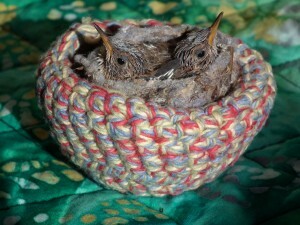 Ana and Pavan dressed up for my birthday. 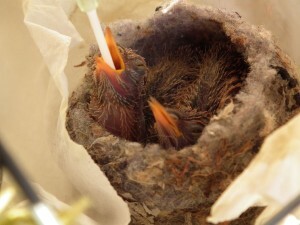 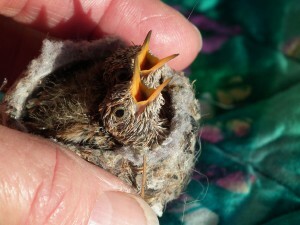 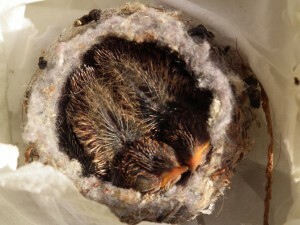 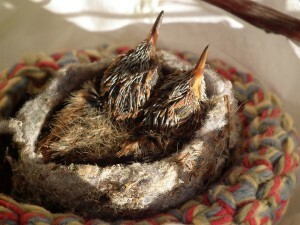 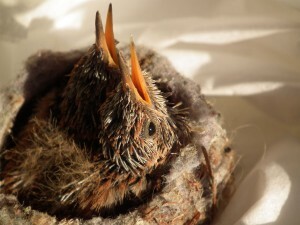 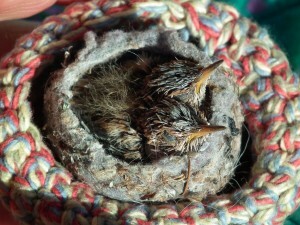 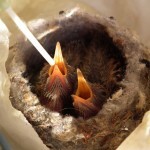 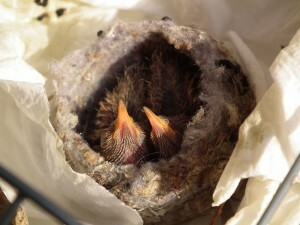 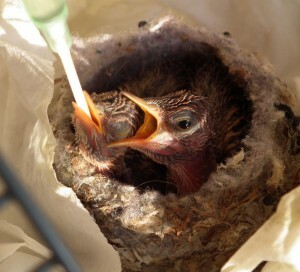 View two short videos rescuing twin hummingbird nestlings after the mother hummingbird, Phoebe Allens had a mishap and was unable to return to her babies.